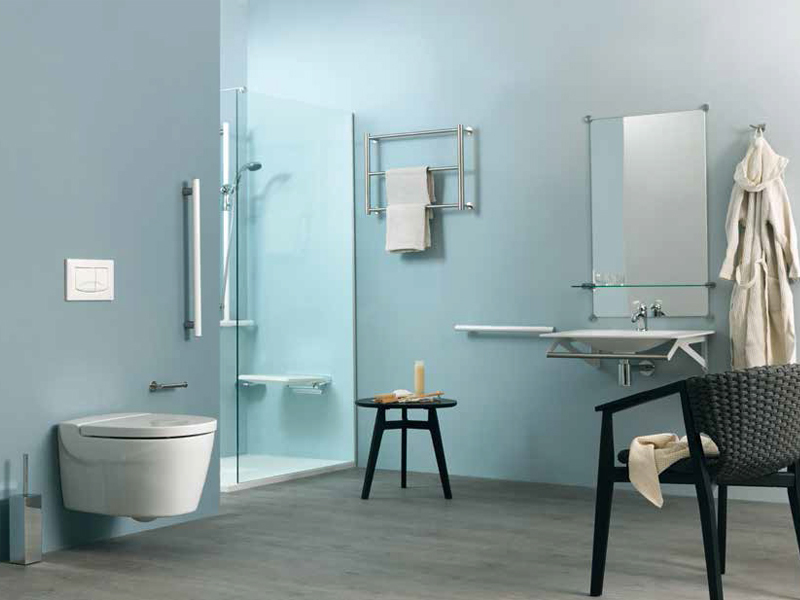 Ponte Giulio has a wide range of shower seat, bathtub bench, and stool options. Ponte Giulio has insured our seats and benches exceed ADA regulations while still fulfilling the aesthetic desire required by your client. 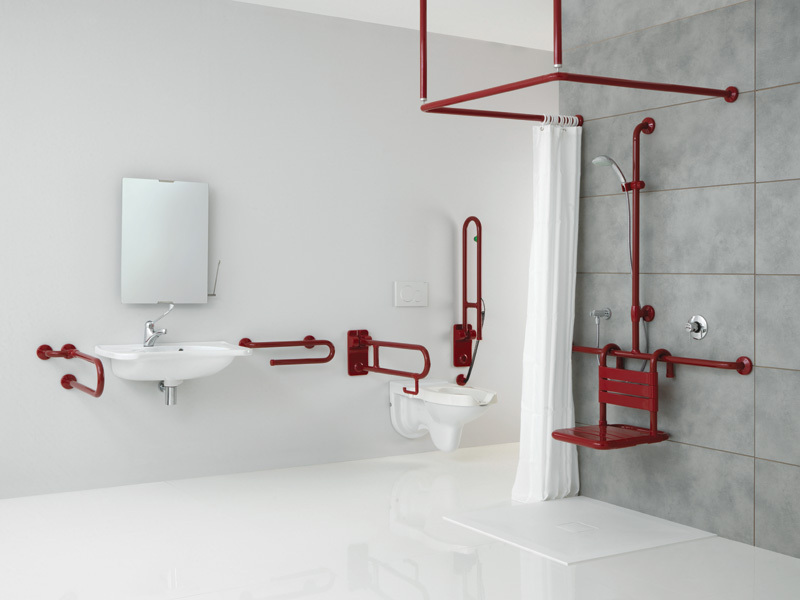 Ponte Giulio is proving seats and benches as a solution to safe, non-institutional bathroom environment. 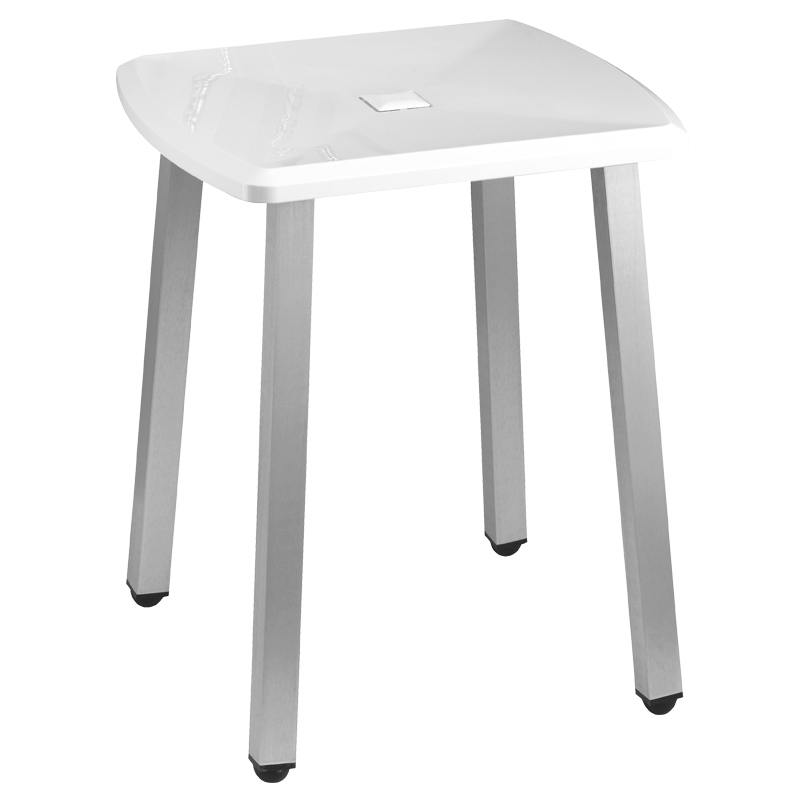 Shower stool with ABS base and aluminium floor supporting frame. 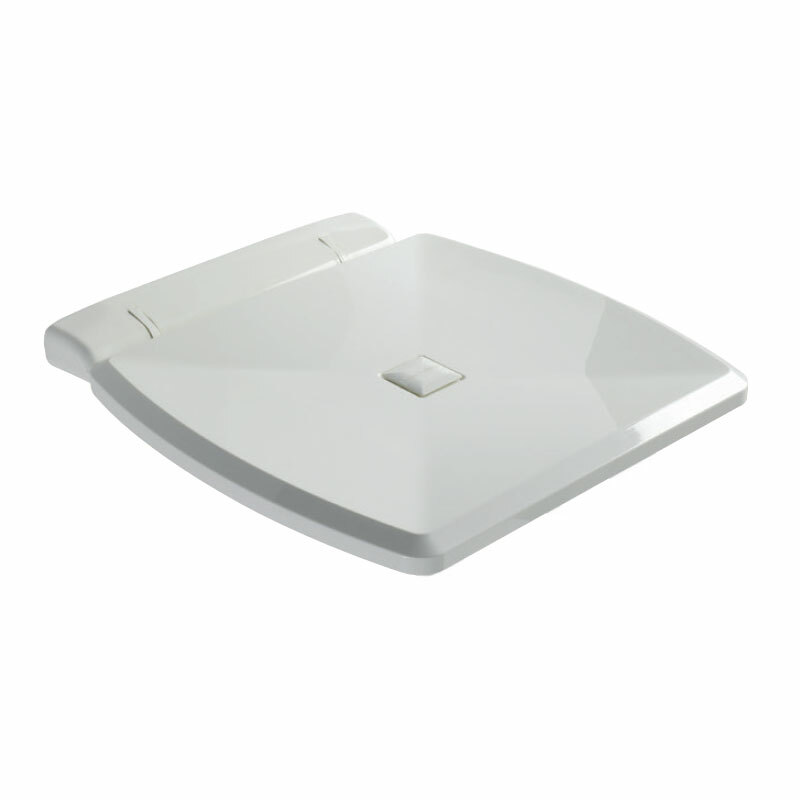 There may be situations when a shower seat is necessary and a portable one is the ideal solution. It may be used in the shower but also used as a seat by the basin for those who cannot stand. The seat is manufactured from ABS and the legs are made from aluminium. Fold down shower seat, ABS seat and AISI 304 frame. This seat is slightly wider than average seats and has a flatter design as to fold up against the wall and protrude only 70mm. A small water outlet hole is in the centre of the seat which prevents water filling the seat area. The concealed fixing of the seat is an advantage over other makes as no screws are visible. 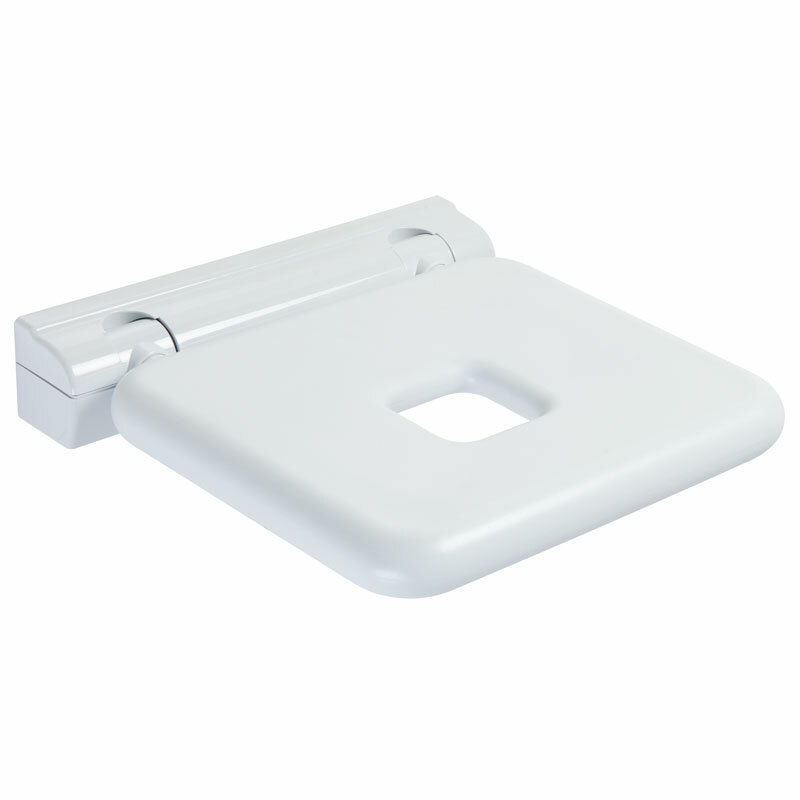 Fold down shower seat with integrated back rest, fit for the use in the shower area, having nice aesthetic appearance, easy cleaning, comfortable, safe and utterly solid structure free from any kind of elements which may cause accidents. 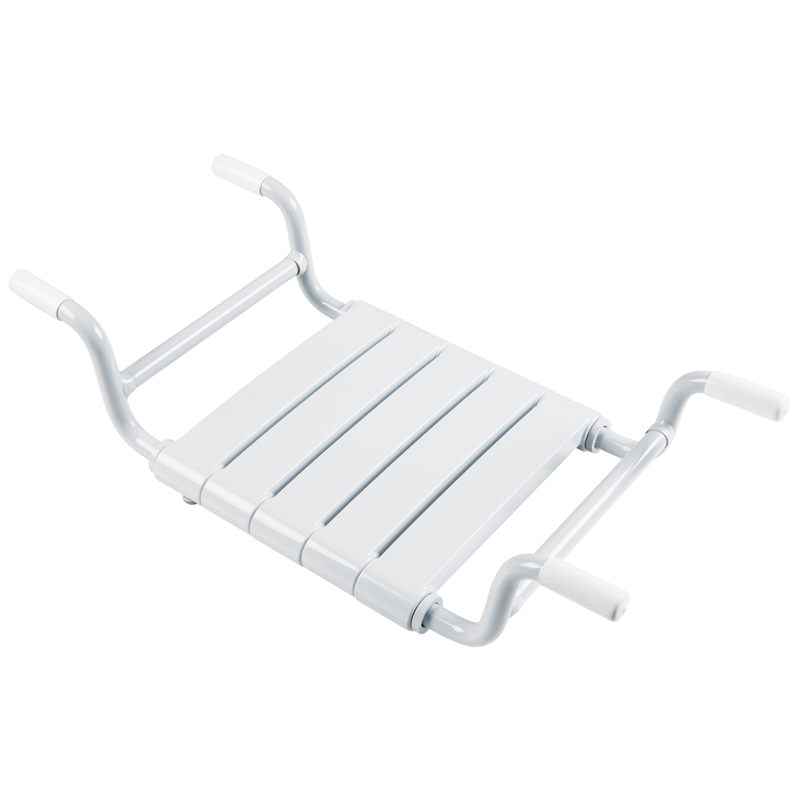 This pre-assembled article has a structure in hot polyester powder painted aluminum, the seat and back rest in soft polyurethane. Folding seat with seat in PUR material, fit for the use in the shower area, having nice aesthetic appearance, easy cleaning, comfortable, safe and utterly solid structure free from any kind of elements which may cause accidents. This pre-assembled article has a structure in galvanized steel and the seat body entirely in soft polyurethane. 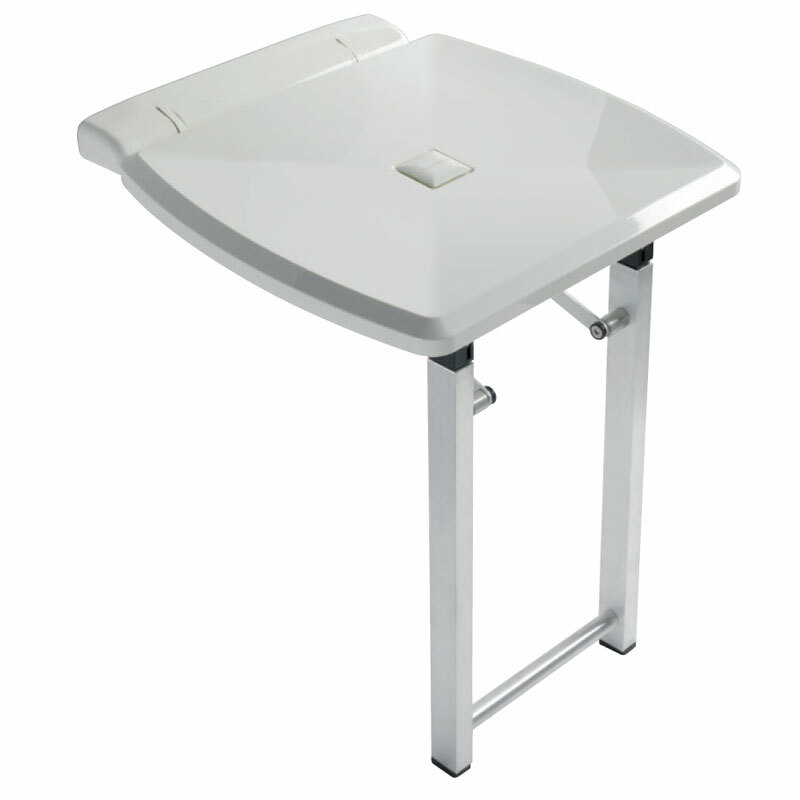 Fold down shower seat, ABS base, with fold away legs to add to the support of the seat. There may be a case that the wall structure is not strong enough to support the seat so using a seat with legs will assist the installation and provide extra strength. The seat is manufactured from ABS and available in a range colours. A small water outlet hole is in the centre of the seat which prevents water filling the seat area. 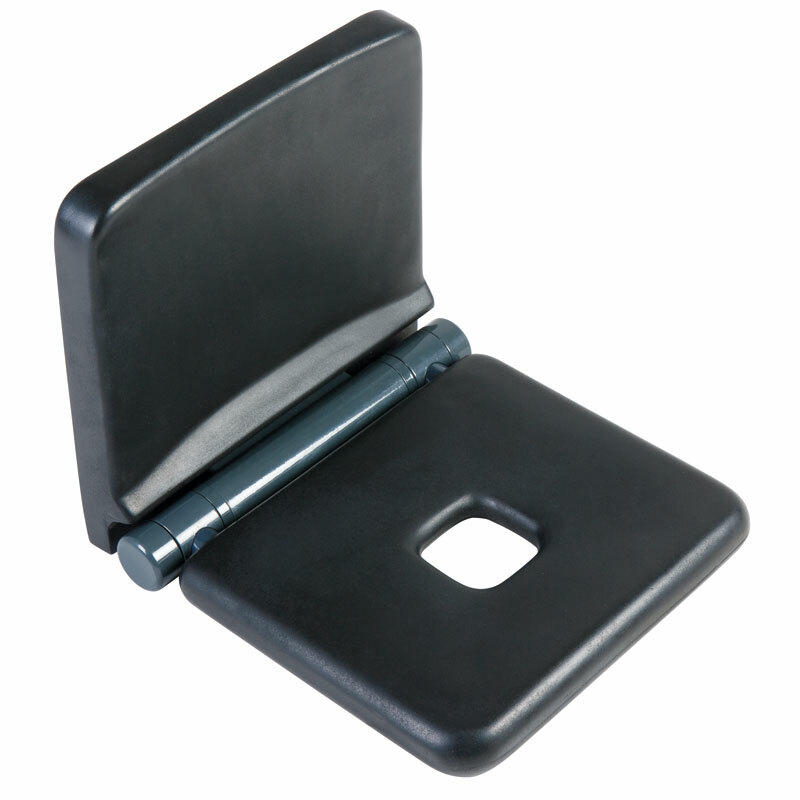 The concealed fixing of the seat is an advantage over other makes as no screws are visible. Removable bathtub seat with nylon slats, made of zinc-plated steel pipe, coated with biocompatible, warm-to-the-touch vinyl.